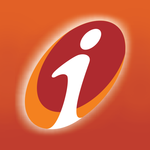 ICICI Bank - Building Credit History: Why is it Important? Building Credit History: Why is it Important? Let's say you're fresh out of college and have taken up your first job and want to get your first credit card. You dutifully fill out the forms and wait for the reply, only to find out a few weeks later that you've been rejected. Why? Because you don't have credit history. How do you establish a credit history? Well, you get a credit card, of course. It’s a strange conundrum, but there is no need to despair because credit history can be built, and first time borrowers are not always turned away. It is important to have a credit history and a credit score because a lender uses credit score as its first impression of a loan applicant; the higher the score, the better the chances of the loan being reviewed and approved. While it would seem that having no credit is a good thing because it can indicate that you've been financially solvent enough to pay cash for every purchase you've ever made, lenders want proof that if they give you money, you won't take it and run. Your credit score tells the lender how likely you are to pay back loan or credit card dues based on your past repayment behavior. A credit score is a three-digit number that shows numeric summary of an individual’s credit health. Such score is derived by credit bureaus by analysing the person’s credit history. In India, there are four credit information companies licensed by the Reserve Bank of India. The Credit Information Bureau (India) Ltd (CIBIL) has functioned as a credit information company from January 2001. Subsequently in 2010, Experian, Equifax and Highmark were given licences by the RBI to operate as credit information companies in this country.Although all the four credit information companies have developed their individual credit scores, the most popular is CIBIL credit score. Access to credit data is crucial for lenders to assess credit worthiness of a borrower. CIBIL gets information from its members only and supplements it with public domain information to create a comprehensive snapshot of an entity's financial track record. A person's credit history is a record of how he/she has used and managed credit in the past. Every financial transaction in an individual’s life involving credit is recorded as his or her credit history - from payment history on credit card, to history on paying off car loan, to any suits that may have been filed against that individual. Credit score usually ranges from 300 to 900 points and higher scores suggest better chance of getting approval of loans. But what is a good enough score? A score above 700 usually suggests good credit management. Seventy-nine percent of loans approved are for individuals with a score greater than 750, says CIBIL, India’s first credit information company. People with higher CIBIL score stand a higher chance to get a loan in India. Also, it is important to understand that as risk-based lending is kicking into the Indian market, people with higher credit score also stand a chance to get loans at a lower rate of interest. India’s CIBIL score system is essentially a copy of the American Credit Score System or FICO, the most widely used credit score model in the US. Similar to the way Federal Express eventually became FedEx, the company that develops FICO scores used to be called Fair Isaac Co. It was often shortened to FICO and a few years ago that became the official name. How can you build your credit history? The first thing you need to do is actually get some credit. The easiest way for most young people to get is to apply for a credit card – but just a single card. As a new borrower, there will be a new file created for you. It will be in your interest to build up a favourable repayment track record for future credit applications. Missed repayments have an adverse impact on an individual’s credit score. Hence, it is important to live a financially disciplined life. It is very difficult to assess how much of a drop in credit score you could expect because of a single missed payment. One could expect a drop of 50 to 100 points. "Sin writes histories. Goodness is silent." Unfortunately, these famous words by German statesman and writer Johann Wolfgang von Goethe often ring true in the area of credit reporting. A low CIBIL score and a couple of negative remarks in the credit report will likely lead to rejection of future loan applications. But bad credit score can be repaired gradually if an individual enforces a bit of financial self-discipline. Repairing bad credit is a bit like losing weight: It takes time and there is no quick way to fix a credit score. In fact, out of all of the ways to improve a credit score, quick-fix efforts are the most likely to backfire, so beware of any advice that claims to improve your credit score fast. The best advice for rebuilding credit is to manage it responsibly over time. If you haven't done that, then you need to repair your credit history before you see credit score improvement. The tips below will help you do that. They are divided up into categories based on data used to calculate credit score. But first, following are some key preliminary steps an individual must take to manage and improve one’s credit score. Check your credit report – Credit score repair begins with your credit report. If you haven't already, request a copy of your credit report and check it for errors. Your credit report contains the data used to calculate your score and it may contain errors. In particular, check to make sure that there are no late payments incorrectly listed for any of your accounts and that the amounts owed for each of your open accounts is correct. If you find errors on any of your reports, dispute them with the credit bureau and reporting agency. Set up payment reminders – Making your credit payments on time is one of the biggest contributing factors to your credit score. Some banks offer payment reminders through their online banking portals that can send you an email or text message reminding you when a payment is due. Cut the debt size – This is easier said than done, but reducing the amount that you owe is going to be a far more satisfying achievement than improving your credit score. The first thing you need to do is stop using your credit cards. Use your credit report to make a list of all of your accounts and then go online or check recent statements to determine how much you owe on each account and what interest rate they are charging you. Come up with a payment plan that puts most of your available budget for debt payments towards the highest interest cards first, while maintaining minimum payments on your other accounts. Following are some tips to help you repair your credit history, which will lead to an improved credit score. Payment history contributes 35% to credit score calculation and has the greatest effect on improving your score, but past problems like missed or late payments are not easily fixed. Delinquent payments (even if only a few days late) and collections can have a major negative impact on your CIBIL score. The longer you pay your bills on time after being late, the more your credit score should increase. Older credit problems count for less, so poor credit performance won't haunt you forever. Impact of past credit problems on your credit score fades as time passes and as recent good payment patterns show up on your credit report. 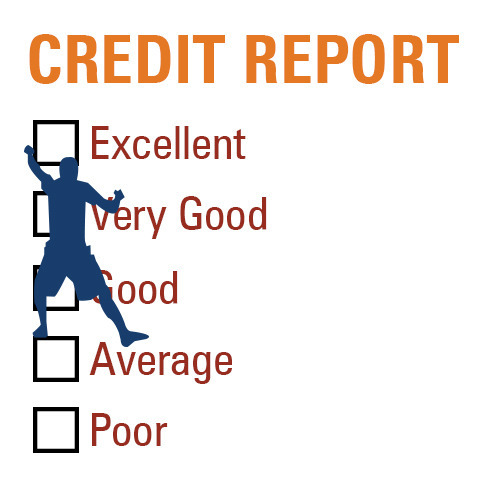 And good scores weigh any credit problems against the positive information that says you're managing your credit well.Be aware that paying off a collection account will not remove it from your credit report. It will stay on your report for seven years. If you are having trouble making ends meet, contact your creditors or see a legitimate credit counselor.This won't rebuild your credit score immediately, but if you can begin to manage your credit and pay on time, your score should increase over time. And seeking assistance from a credit counseling service will not hurt your credit score. This category contributes 30% to your score's calculation and can be easier to clean up than payment history, but that requires financial discipline and understanding the following. --Keep balances low on credit cards and other "revolving credit". High outstanding debt can affect a credit score. --Pay off debt rather than moving it around. The most effective way to improve your credit score in this area is by paying down your revolving (credit cards) debt. In fact, owing the same amount but having fewer open accounts may lower your score. --Don't close unused credit cards as a short-term strategy to raise your score. --Don't open a number of new credit cards that you don't need, just to increase your available credit. This approach could backfire and actually lower your credit score. --If you have been managing credit for a short time, don't open a lot of new accounts too rapidly.New accounts will lower your average account age, which will have a larger effect on your score if you don't have a lot of other credit information. Also, rapid account buildup can look risky if you are a new credit user. --Do your rate shopping for a given loan within a focused period of time. Credit scores distinguish between a search for a single loan and a search for many new credit lines, in part by the length of time over which inquiries occur. --Re-establish your credit history if you have had problems. Opening new accounts responsibly and paying them off on time will raise your credit score in the long term. --Note that it's okay to request and check your own credit report. This won't affect your score, as long as you order your credit report directly from the credit reporting agency or through an organisation authorised to provide credit reports to consumers. --Apply for and open new credit accounts only as needed. Don't open accounts just to have a better credit mix – it probably won't raise your credit score. --Have credit cards – but manage them responsibly. In general, having credit cards and installment loans (and paying timely payments) will rebuild your credit score. Someone with no credit cards, for example, tends to be higher risk than someone who has managed credit cards responsibly. --Note that closing an account doesn't make it go away. A closed account will still show up on your credit report, and may be considered by the score. "Fixing" a credit score is more about fixing errors in your credit history (if they exist) and then following the guidelines above to maintain consistent, good credit history. Raising your score after a poor mark on your report or building credit for the first time will take patience and discipline. According to an article in The Economic Times newspaper, the numerical figures of 700 and above are fast forming a superpower club that determines what job a person should get, what EMI on insurance and loan an individual should pay, and what should be the interest rate on an individual’s loan. It also helps determine marriage eligibility of a person, phone number eligibility and limit and much more, the newspaper article said. Thus, whether you are planning to buy a home, car or any other product, or want to get a new credit card, your credit score has an immense affect on your loan processing and determining the credit limit. However, credit awareness in India still has a long way to go. In fact, a survey across eight Indian cities by Credit Sudhaar, a credit health improvement company that aims at helping individuals become credit healthy, found out that more than 85% of the 100 respondents surveyed were not aware of credit bureaus.